A CHERRY PIE MARTINI for CHERRY PIE DAY! 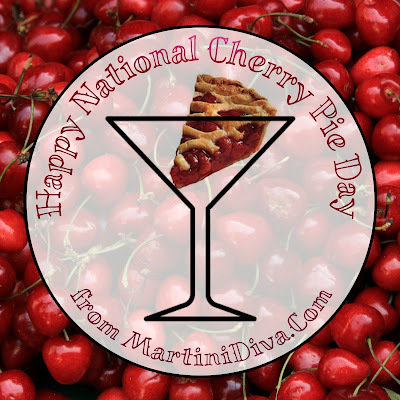 February 20th is National Cherry Pie Day and I have the perfect martini to help you celebrate, The Cherry Pie Martini. If you like cherrie pie as much as I do, this is a fun way you to drink it as a cocktail. Shake ingredients with ice and a cocktail shaker, strain into a chilled cocktail glass, garnish and serve. BTW, if you, like me, have wondered about where "National Cherry Pie Day" came from read: NATIONAL WHATEVER YOU WANT TO CALL IT DAY.